Hiley Subaru, a partner of the Fort Worth Animal Shelter, is transforming its huge showroom to make way for dogs waiting to be adopted. The Subaru Loves Pets adoption event is set for 11 a.m.-3 p.m. Oct. 20 at the Fort Worth dealership, 3505 W Loop 820 S.
The animal shelter remains completely full with loving pets waiting for someone to take them home. The pets that land in the shelter are there because of a people problem, not because the animals did anything wrong. Many are already housetrained and are accustomed to living with families. The shelter is currently caring for approximately 600 dogs and cats. If there was ever a time to find the dog or cat of your dreams, now would be great as there are so many to select from. The adoption fee will be reduced to $10 and includes an initial medical examination, rabies vaccination, city license, micro-chip and spay/neuter. Bring in your own hand-painted pumpkin to the Library from October 22-31 to put on display and be entered to win a $50 Harkins gift card. Who wants to earn some free movie tickets just in time for Halloween? The Library is hosting a Painted Pumpkin Faire from October 22-31 for kids ages 12 & under. Help us deck out the Library with your works of art. Every child who brings in a painted pumpkin will receive a Halloween treat bag and be entered into a contest to win a gift card. There will be one winner. No carved pumpkins can be accepted and all pumpkins must be picked up by November 1st to avoid the compost pile. Just bring in your pumpkin, with a name tag, anytime between October 22 -31. We look forward to seeing what you create! All 11 campuses in Carroll ISD are holding parents-only Curriculum Nights this week. These nights are designed to introduce parents to the curriculum for the school year. September 7th – Curriculum Night for K, 1st & 2nd 5:30 – 6:30 p.m.
September 14th – Curriculum Night for Preschool, 3rd & 4th 5:30 – 6:30 p.m.
September 7th – Curriculum Night – K/1st grades 5:30 – 6:30 p.m.
September 14th – Curriculum Night – 2 nd/3rd/4th grades 5:30 – 6:30 p.m.
September 7th -Curriculum Night Preschool, 3rd & 4th grades 5:00 – 6:00 p.m., K, 1st & 2nd grades 6:15 – 7:15 p.m.
September 7th – Curriculum Night – PK-Kindergarten, 4:30 – 5:30 p.m.; 1st -2nd grades, 5:30 – 6:30 p.m.
September 14th – Curriculum Night – 3rd -4th grades, 4:30 – 5:30 p.m.
September 7th – Curriculum Night – 3rd grade, 5:00 – 6:00 p.m.; 4th grade 6:30 – 7:30 p.m.
September 13th– Curriculum Night – 2nd grade, 5:00 – 6:00 p.m.; Quest 6:15 – 7:00 p.m.
September 14th – Curriculum Night – Kindergarten, 5:00 – 6:00 p.m.; 1st grade, 6:30 – 7:30 p.m.
September 12th – Curriculum Night 6:00 – 8:00 p.m.
September 12th – Curriculum Night 5:30 – 7:00 p.m. 5th Grade Parent Welcome to Canvas 5:00 p.m.
September 6th – Curriculum Night, 6:00 – 7:30 p.m.
September 18th – Curriculum Night, 6:00 – 7:30 p.m.
September 19th – Curriculum Night, 5:30 – 7:00 p.m. The summer of 2017 is turning out to be a challenging one for the Fort Worth Animal Shelter. The shelter is over capacity, with more pets coming into the shelter every day. Normally, the shelter will see 30 pets enter the shelter daily, but this summer it’s been more like 70 pets arriving daily. Hiley Subaru, a partner of Fort Worth Animal Care and Control, has stepped-up to host an adoption event July 22, 11 a.m.-2 p.m. at its Fort Worth dealership, 3505 W, Loop 820 South. Adoption fees have been reduced to $17.76 through July. Currently, the animal shelter is caring for approximately 610 dogs and cats — all of them waiting to be adopted into their forever home. If there was ever a time to find the dog or cat of your dreams, now would be great since there are so many to choose from. The $17.76 adoption fee includes an initial medical examination, rabies vaccination, city license, micro-chip and spay/neuter. The Haltom City Library is honored to host a special exhibit from the Tarrant County Historical Commission: the Tarrant County Heritage Traveling Exhibit. The Exhibit was made possible through a grant from the Fash Foundation. 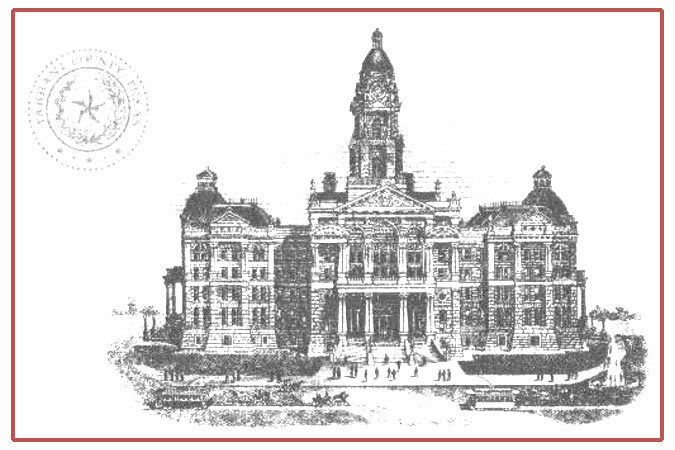 The exhibit, covering Tarrant County History through 1900, will be on view until the end of July. Thanks to the Birdville Historical Society for coordinating with the Tarrant County Historical Commission in securing this exhibit. The Haltom City Library is located at 3809 Haltom Rd. The open house is an opportunity for the Colleyville community to review the highlights of the draft Colleyville comprehensive plan, called Destination Colleyville. City staff and representatives from the plan consultants, will be available to share information and answer questions. If youre unable to attend, but would like to submit questions or comments, send them to .